This entry was posted on April 11, 2013 by admin. 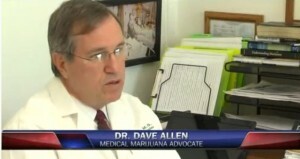 Former Heart Surgeon: While some people are on a daily dose of aspirin to lower the severity of problems after a heart attack or stroke, Allen said marijuana is a better alternative. "Eat a bud a day will keep the stroke away," Allen said. "No other medicine made by man can help in this manner."